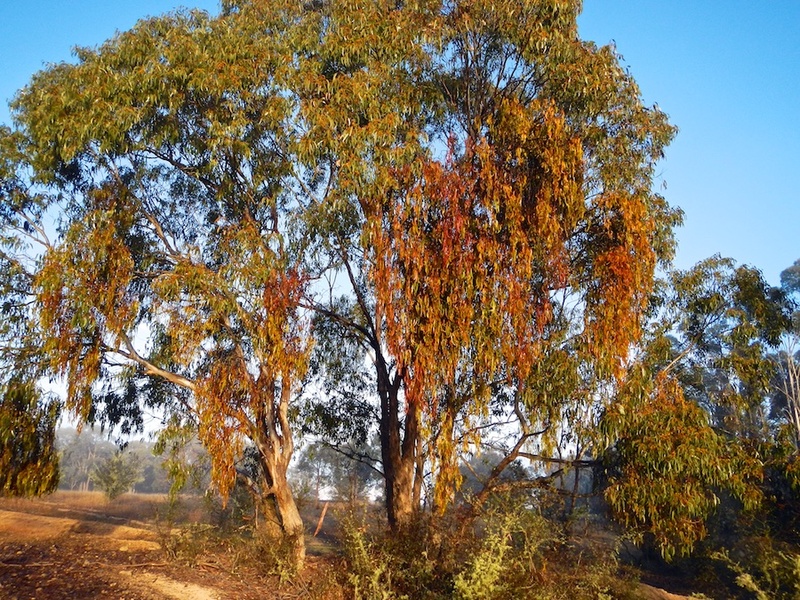 The early morning light’s illumination of this eucalypt highlights the amount of mistletoe that’s growing parasitically. Will it be too much for the tree and kill it? Time will tell. I am never quite sure about mistletoe. The birds love it but there is a risk to the tree. There is quite a lot on our trees out at the block.